Erdoğan visited Mersin, Adana and Ankara. 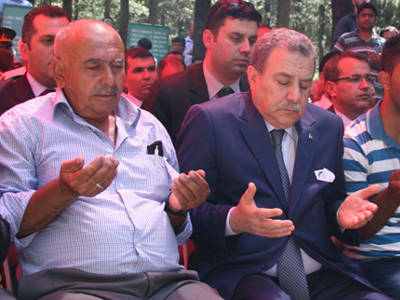 In Adana, he stated that "If you have something to say, if you are environmentalist, there is an environmentalist prime minister in this country. 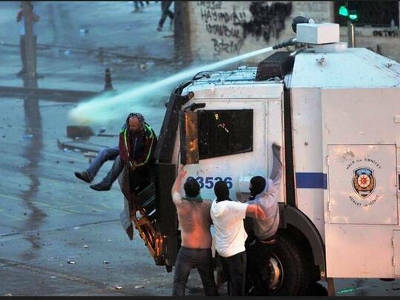 So you can come and talk to the prime minister. 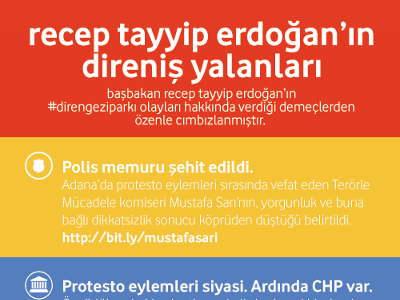 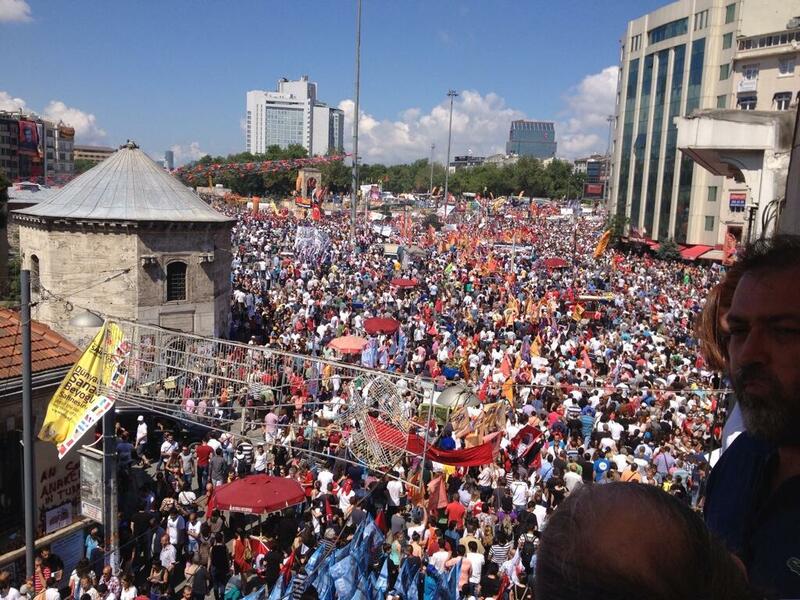 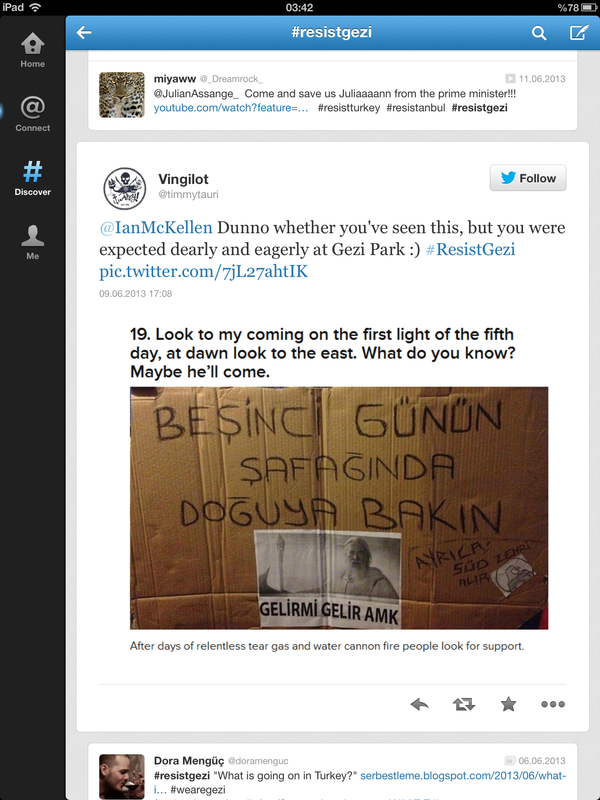 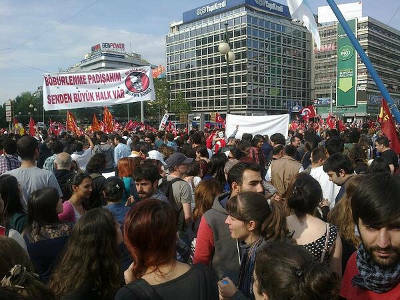 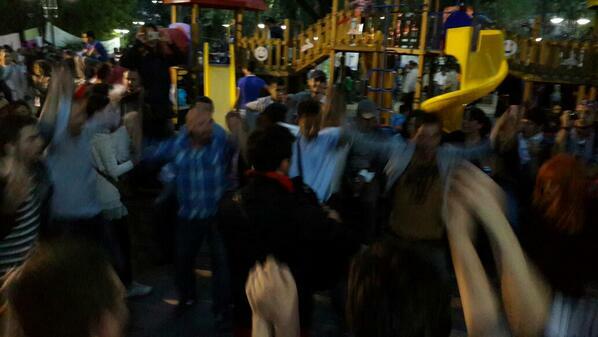 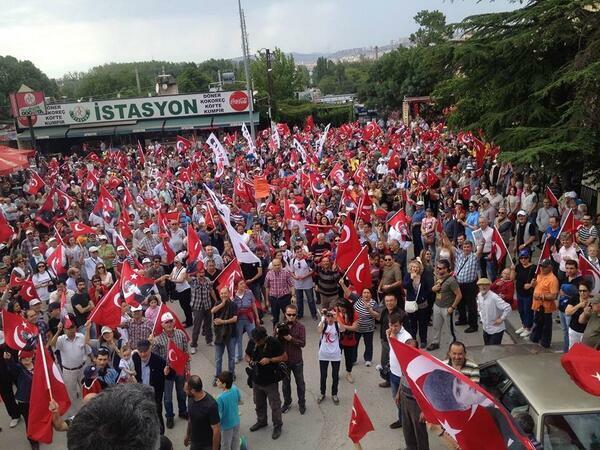 Believe me, a majority of the protesters have never ever visited Taksim Gezi Park before. 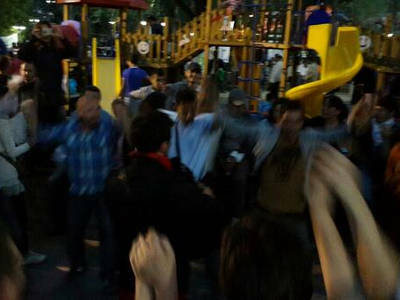 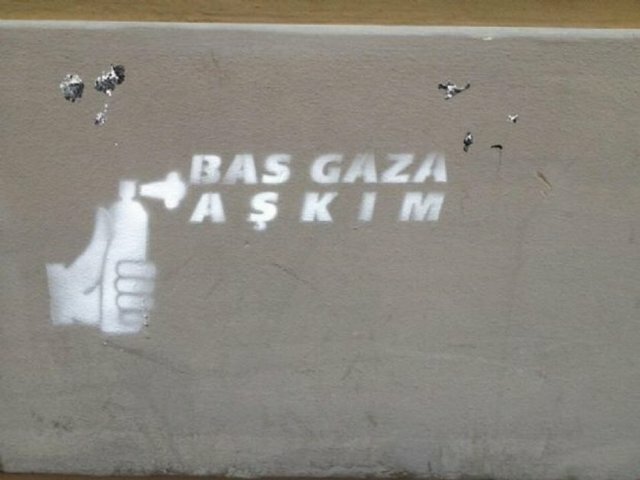 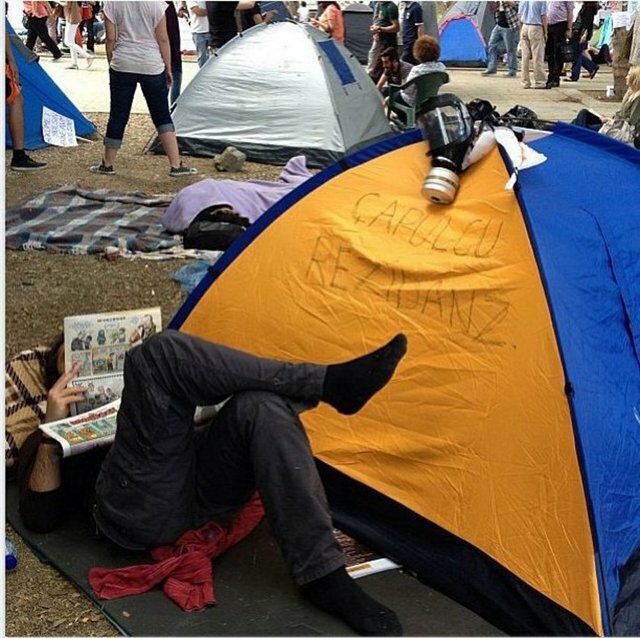 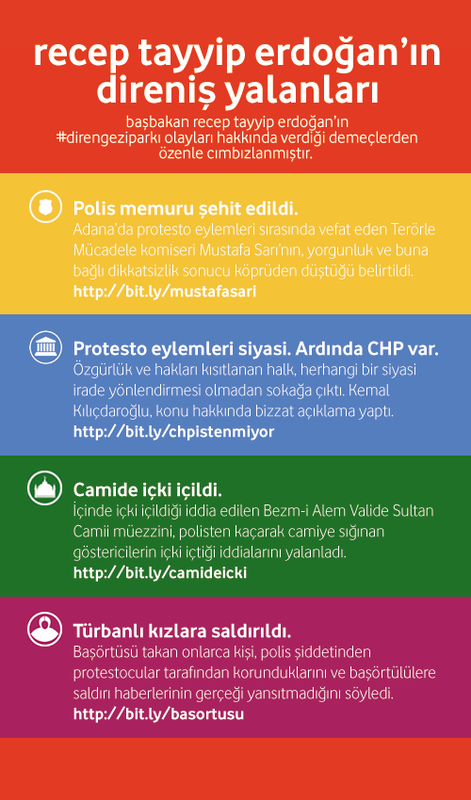 We plan to build a better place than Taksim Gezi Park." Hüseyin Avni Mutlu (Mayor of İstanbul) stated that "Personal mistakes or extremities sometimes require to offer an apology. 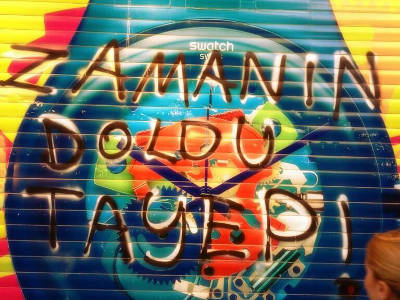 I'm really sorry." 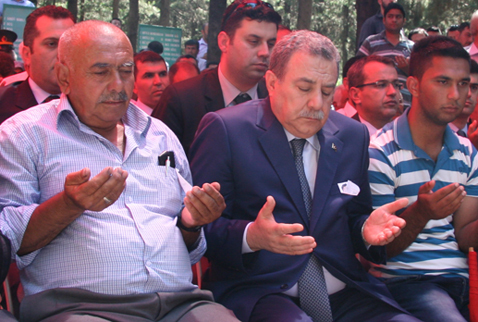 The funeral of police officer Mustafa Sarı took place today in Adana. 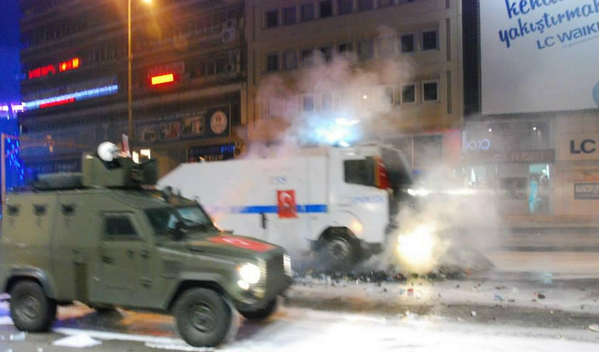 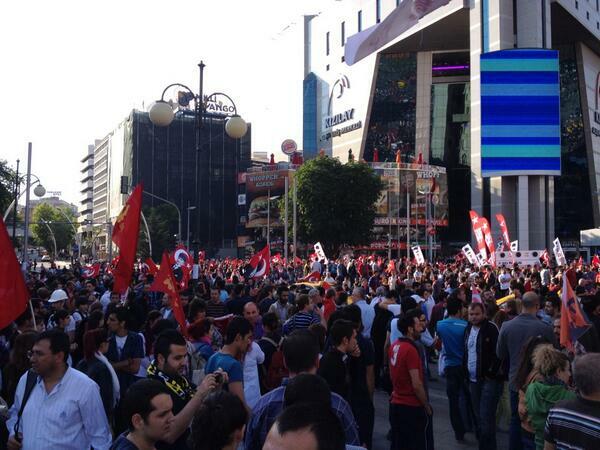 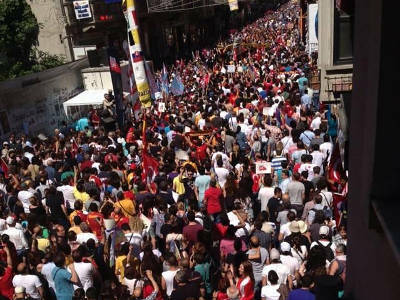 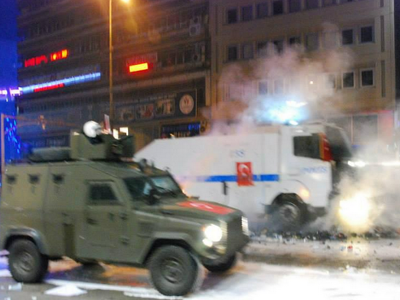 Clashes in Ankara kept their severity. 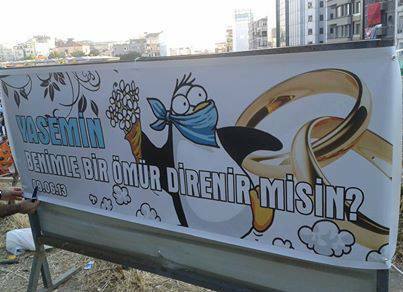 "Yasemin, would you resist with me for a life time?" 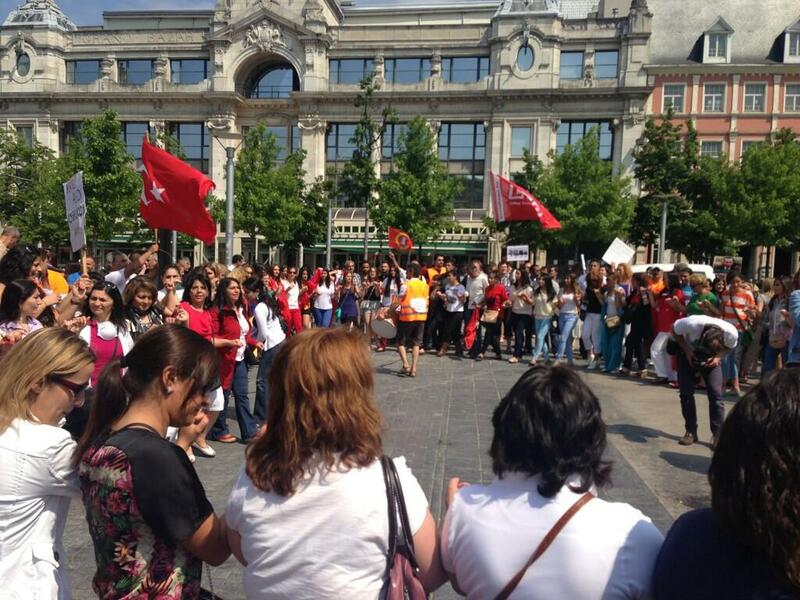 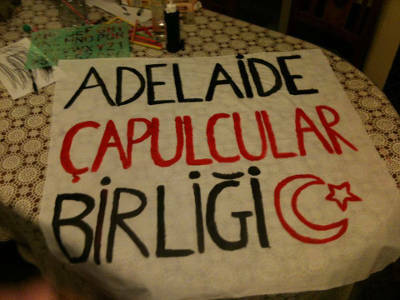 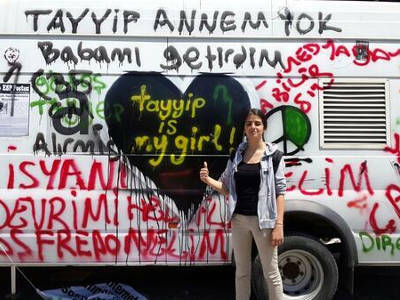 Alumni of Galatasaray High School supporting Gezi Park protests. 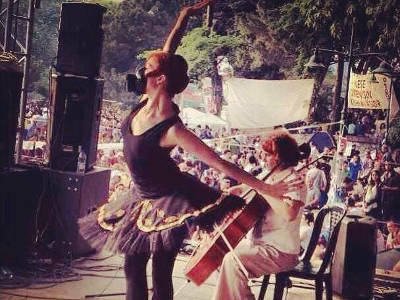 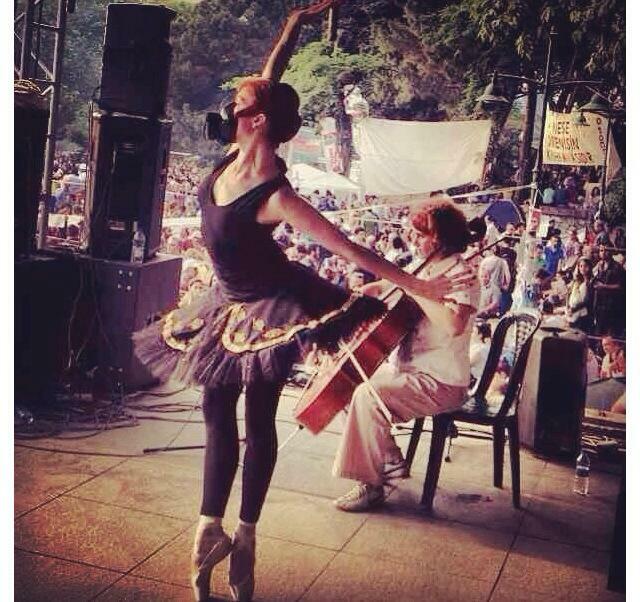 Ballet show at Taksim Gezi Park. 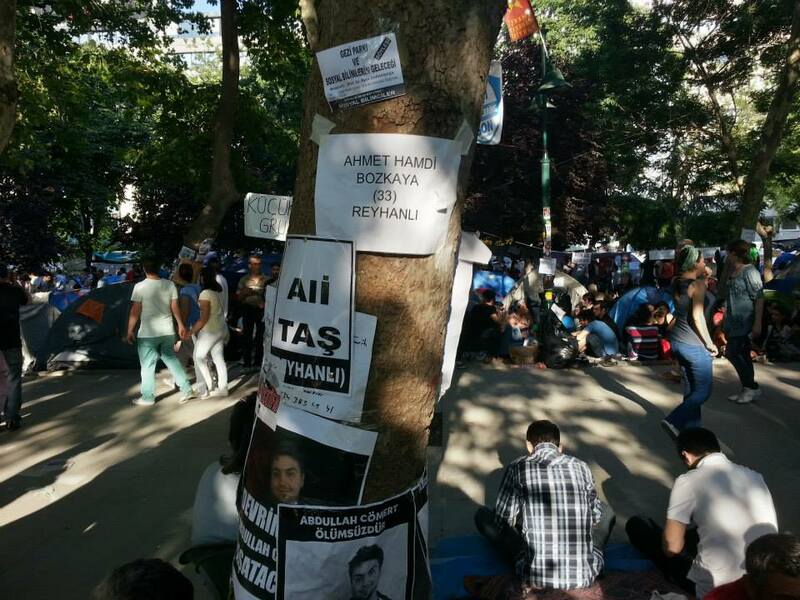 The names of the people who were dead at the Reyhanlı attack are noted down at this tree in Taksim Gezi Park. 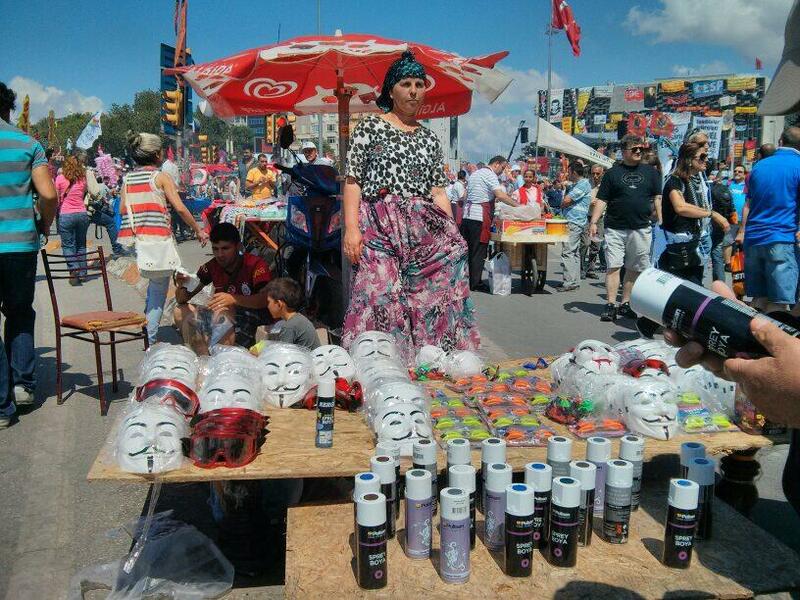 Venders selling masks in Taksim, İstanbul. 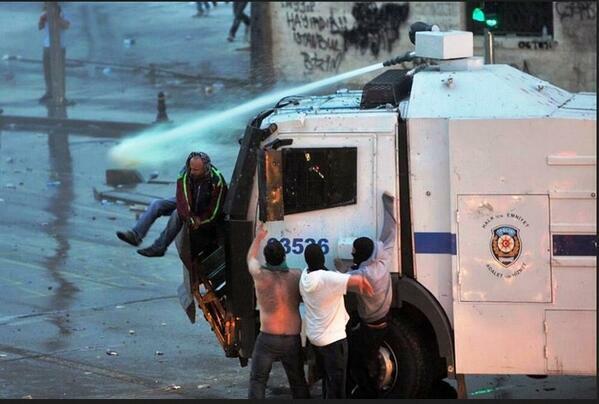 "Step on the gas my love!" 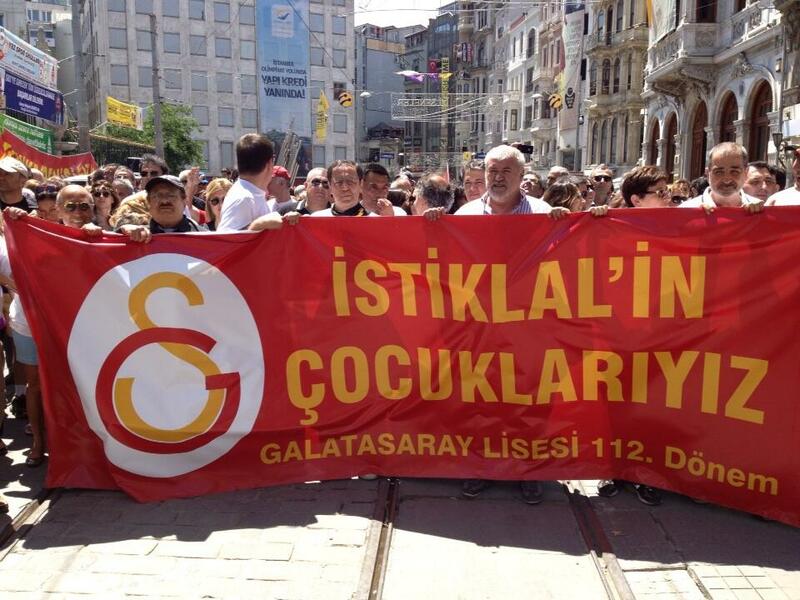 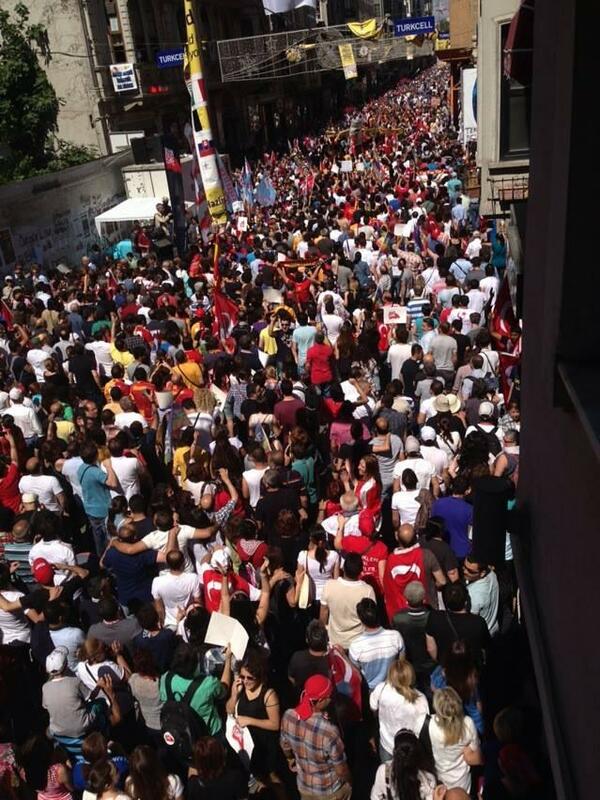 "Biased press is not watched here"
Galatasaray football club fans supporting the protests. 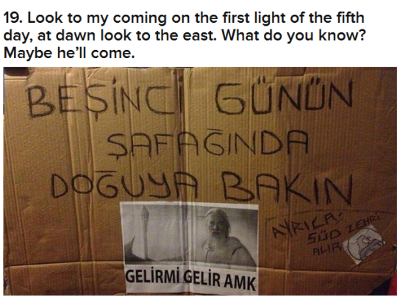 A banner joking with Gandalf. 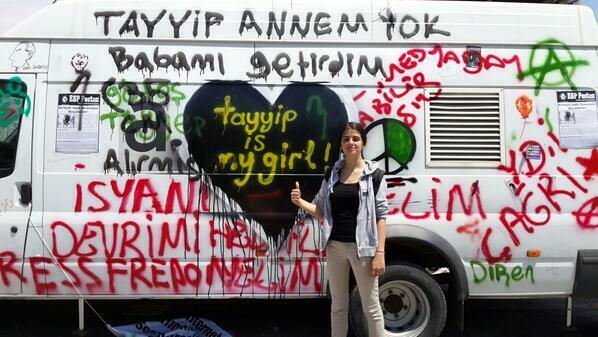 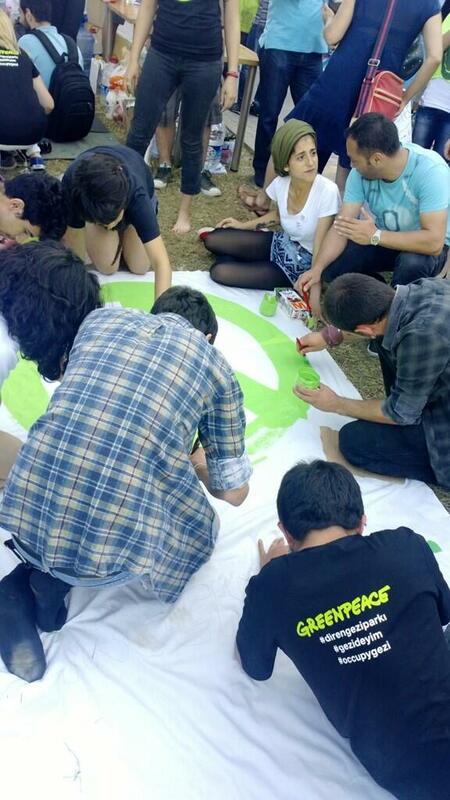 Greenpeace members working on a banner in Taksim, İstanbul. 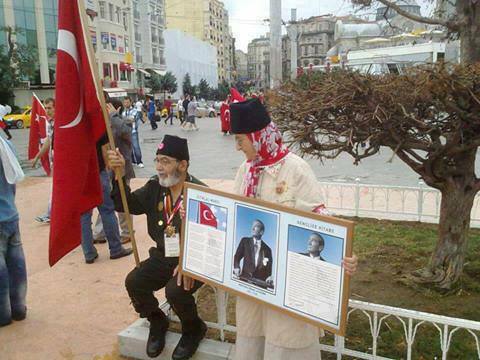 An old protester couple in Taksim, İstanbul. 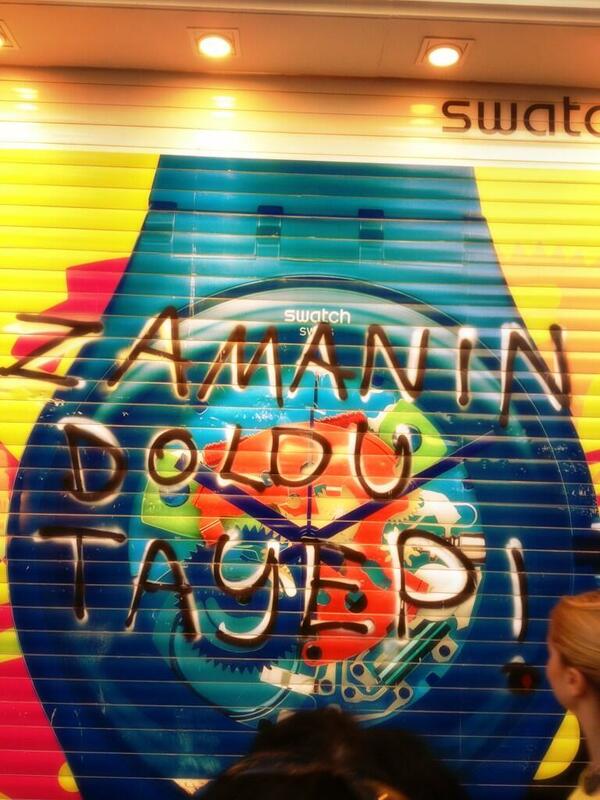 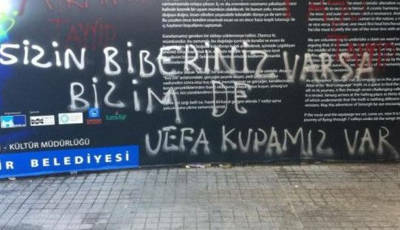 It writes "Time is up Tayyip" on the wall of Swatch shop in Taksim, İstanbul. 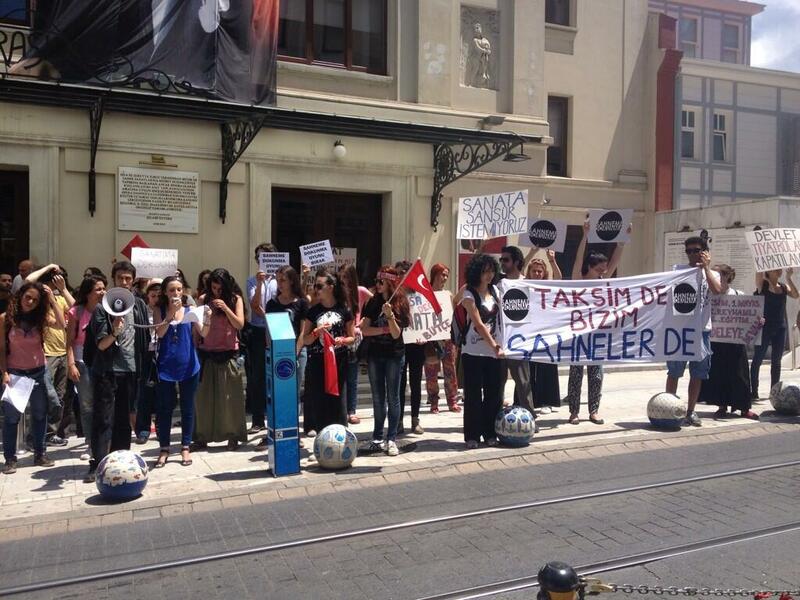 People taking memorial photos in front of the vandalised car in Taksim, İstanbul. 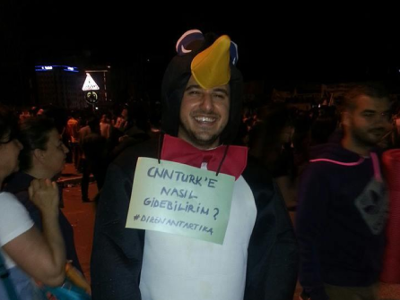 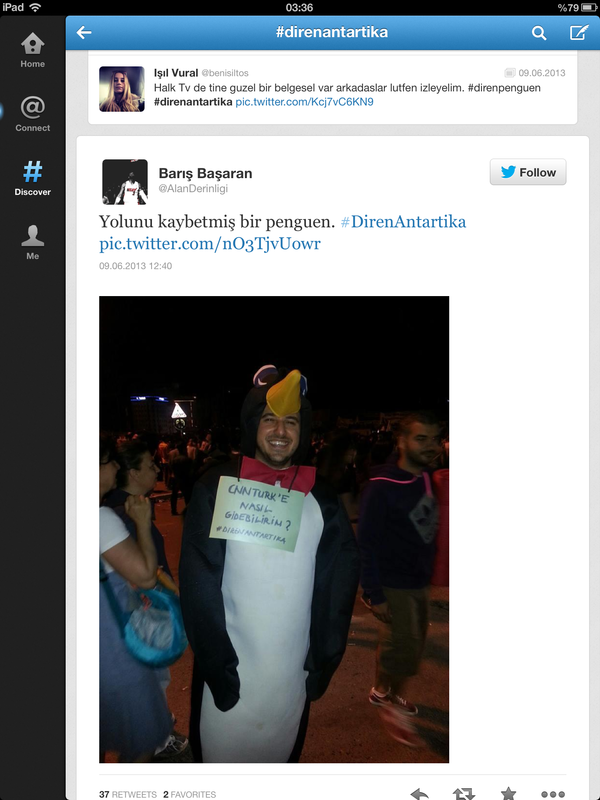 The writing on the penguin costume asks for the way to CNN Türk. 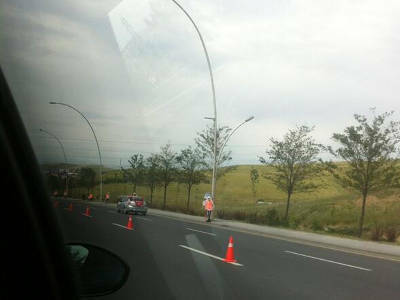 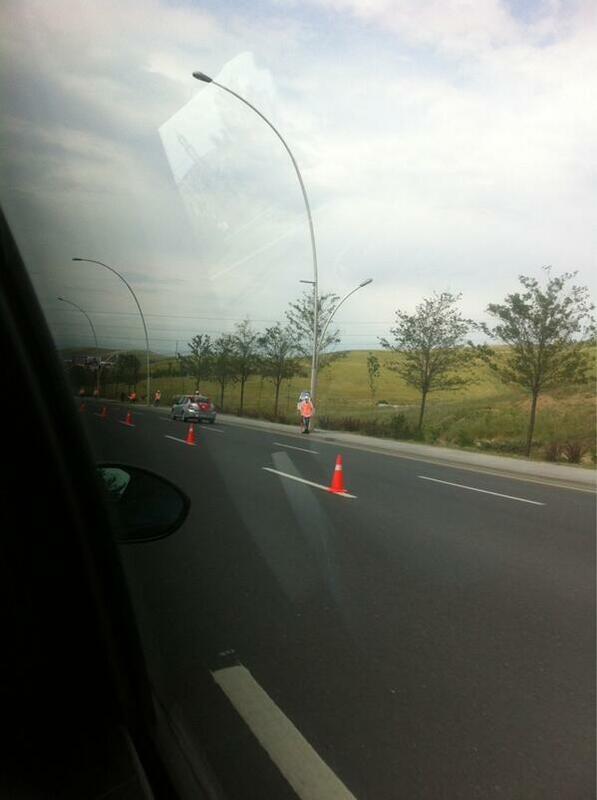 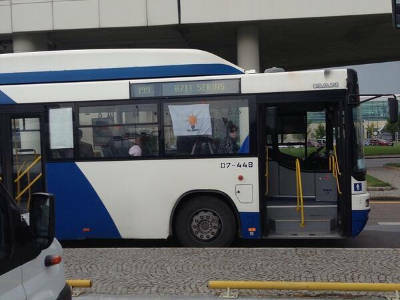 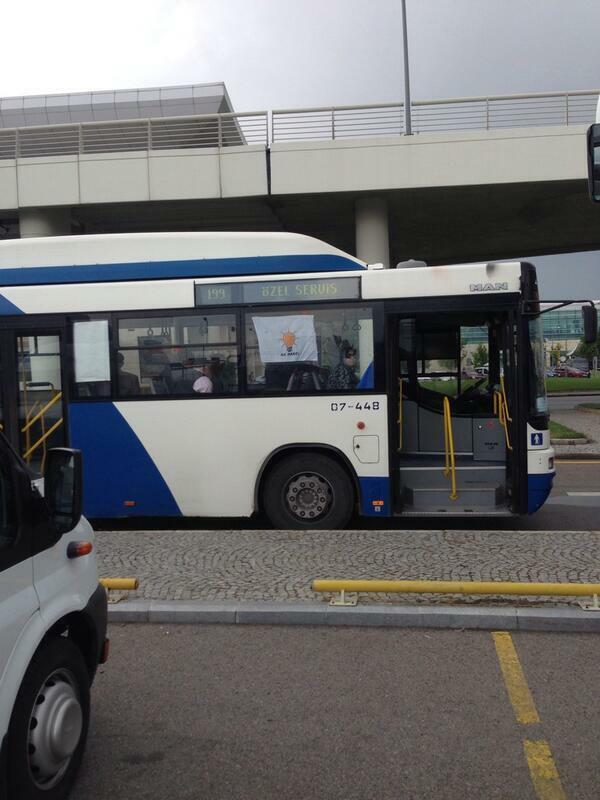 A lane is dedicated to Erdoğan supporters that are on their way to Esenboğa Airport in Ankara. 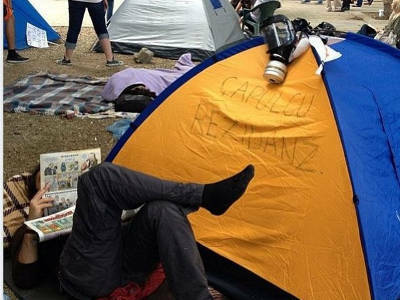 Protests in Atatürk Forest Farm (AOÇ), Ankara. 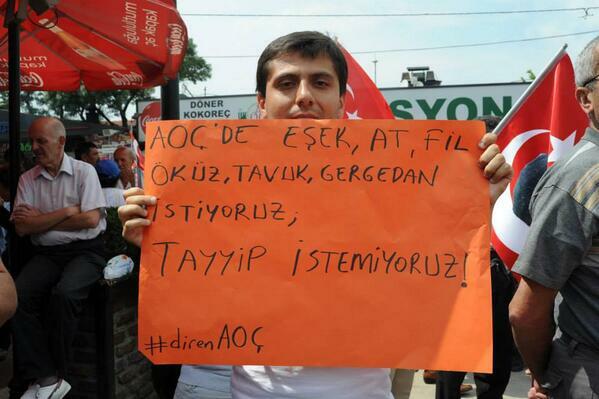 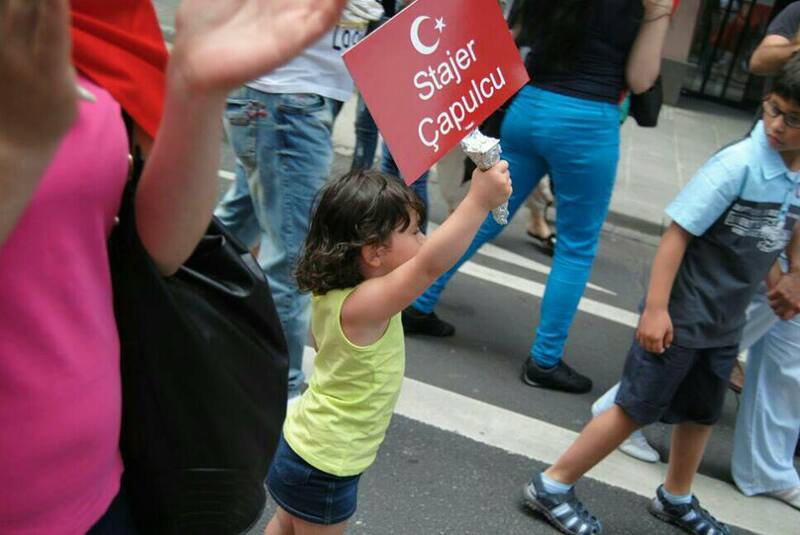 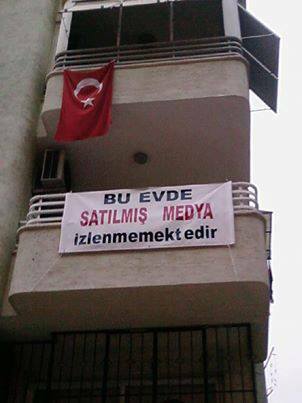 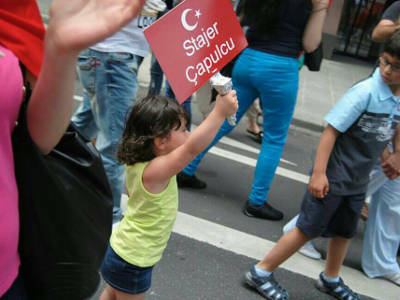 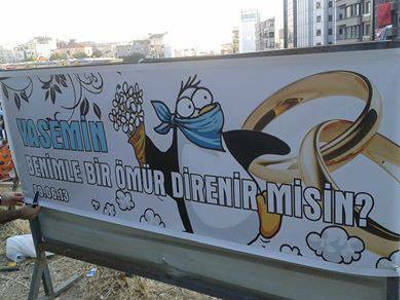 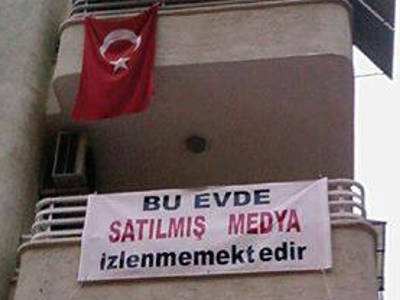 "We want animals in the zoo, not Tayyip." 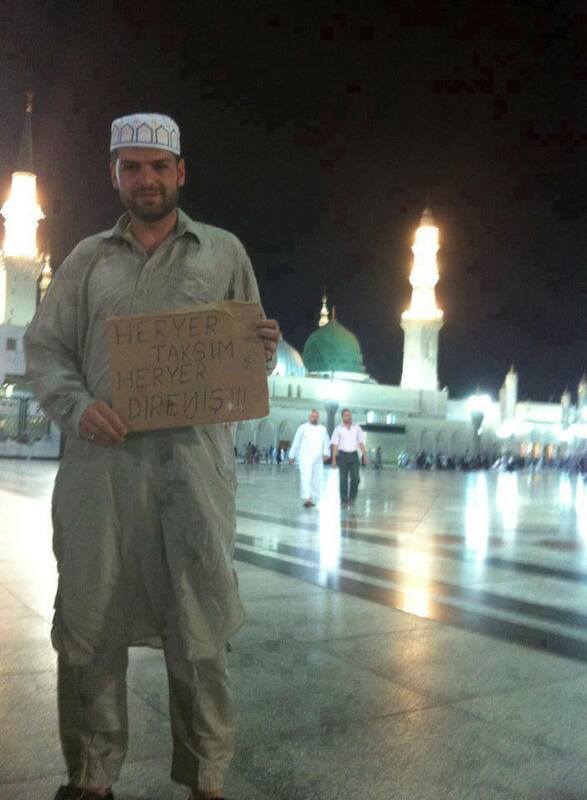 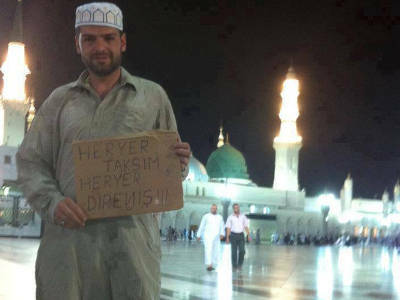 A protester in Mecca, Saudi Arabia.